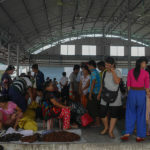 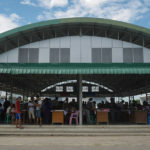 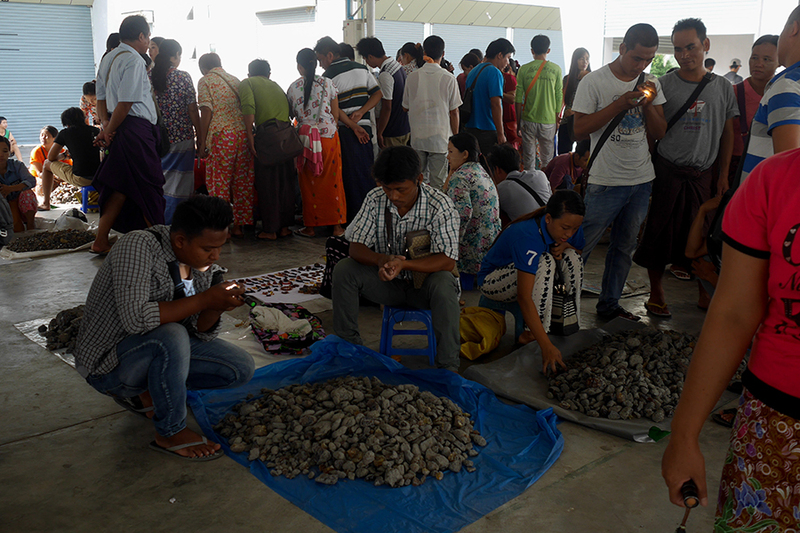 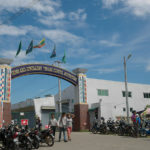 MYITKYINA, Kachin State — Men and women with bags of honey-colored stones in cars and on motorbikes arrive at the Gems and Jewelry Trade Center in Myitkyina, Kachin State at around 7 a.m. 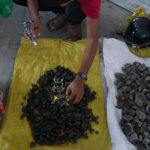 This is the place that people searching for and selling amber come to make a deal. 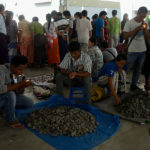 In an open-air building, vendors sit in front of piles of raw amber, pouring water over the stones to make them appear shinier, while buyers rummage through them with small flashlights looking for quality pieces. 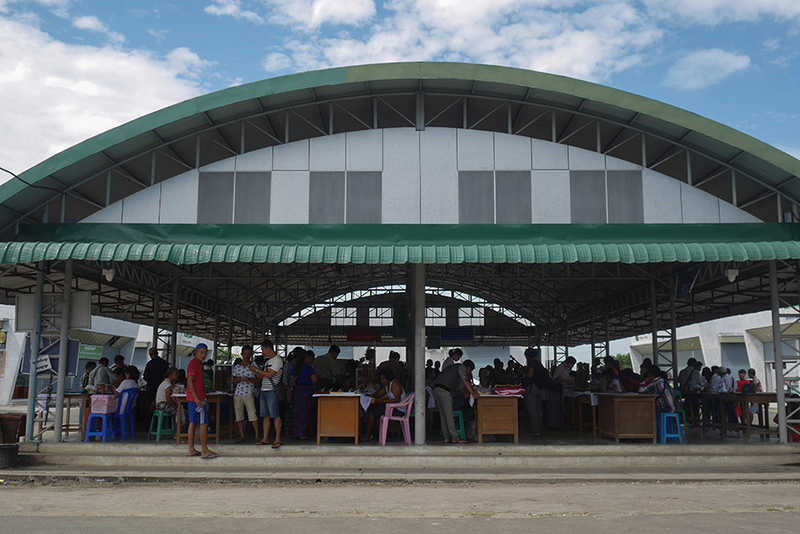 The center launched four years ago and it has become the hub of the local market. 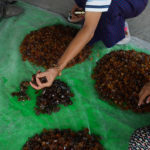 Forty-year-old Seng Pan, who owns an amber shop in Waingmaw Township, bought a pile of about 30 viss (1 viss equals approximately 1.6 kilograms) of raw Burmite amber worth 7 million kyats (about US$5,000) at the market. 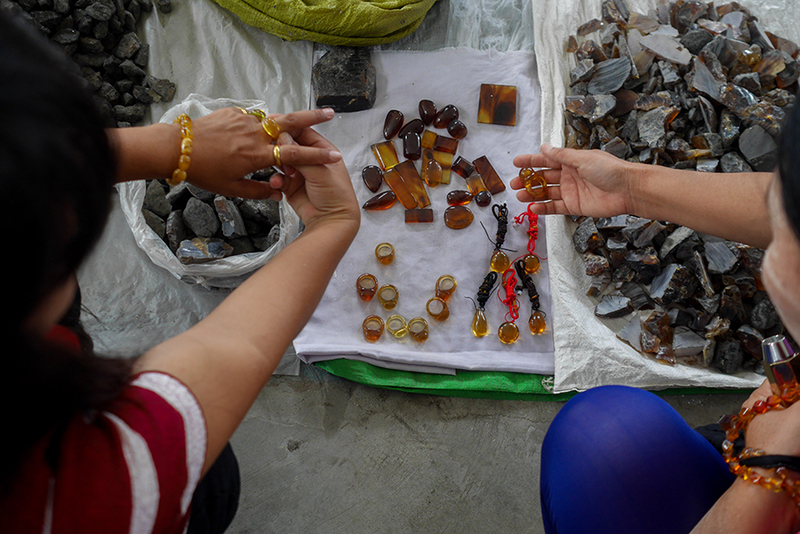 He told The Irrawaddy that while the cost of raw amber has increased, the price of fine and polished products has decreased over the last two years. 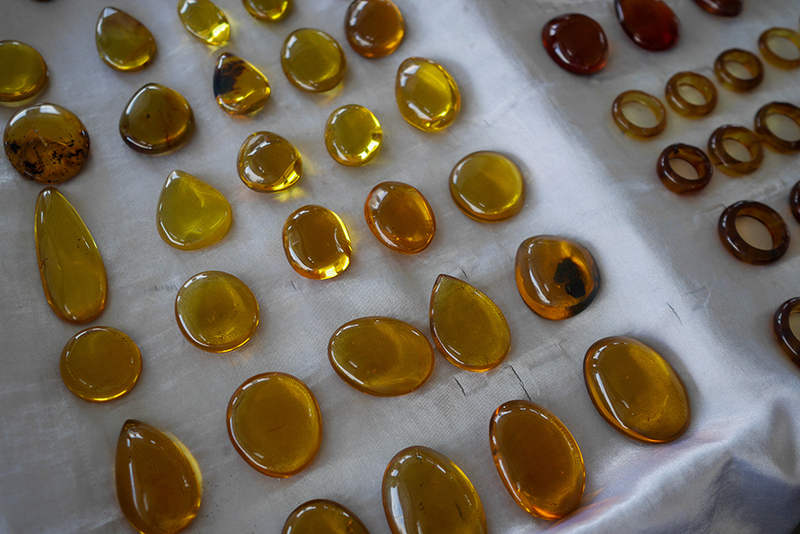 Recently, there has not been a consistent supply of quality, raw amber since mines in Tanai Township—where amber is primarily extracted in the state—have been closed due to military engagement between the Myanmar Army and the Kachin Independence Army (KIA), Seng Pan said. 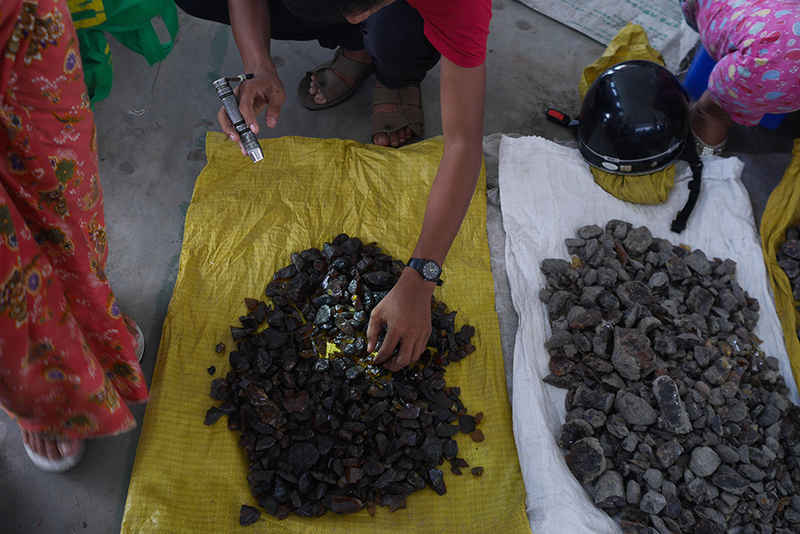 Since clashes broke out in early June, gold and amber miners have fled the area and sought shelter in Tanai town, Hkamti in Sagaing Division, or their respective hometowns. 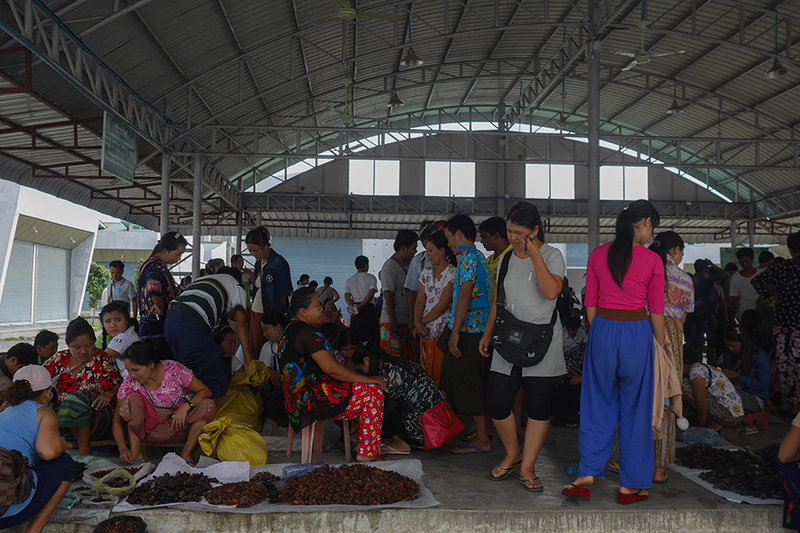 Myanmar Army helicopters dropped leaflets over the area in the second week of June, asking people in the mining region to leave by June 15 or be recognized as insurgents supporting the KIA. 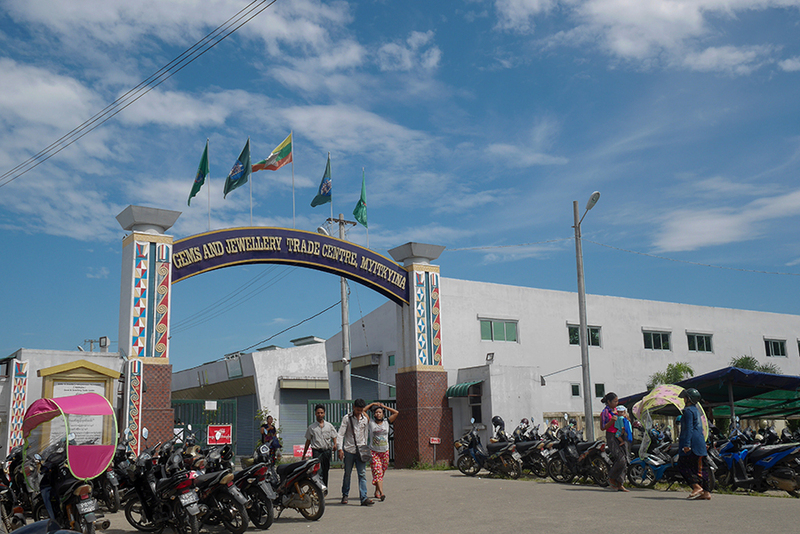 Military tensions between the two sides persist in the area. 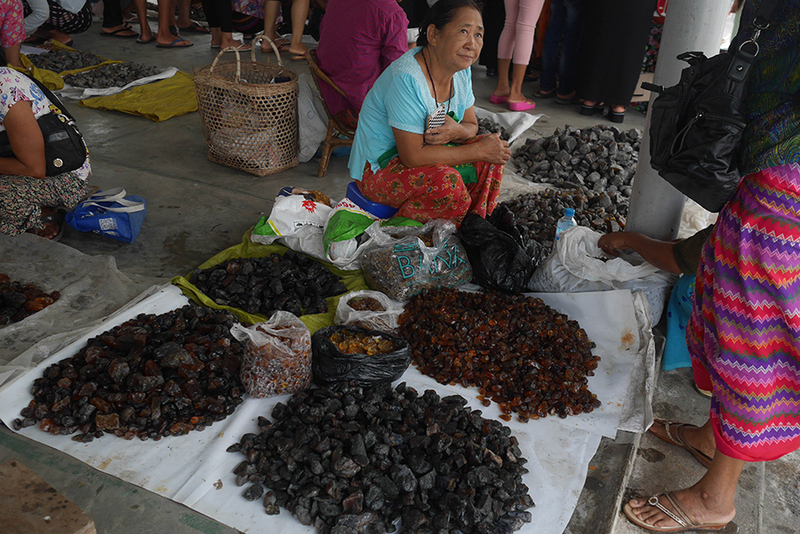 Daw Moe Khine, 40-year-old Mogok native and amber trader, told The Irrawaddy that she used to buy amber from mines around the Tanai area to sell at the China-Myanmar border. 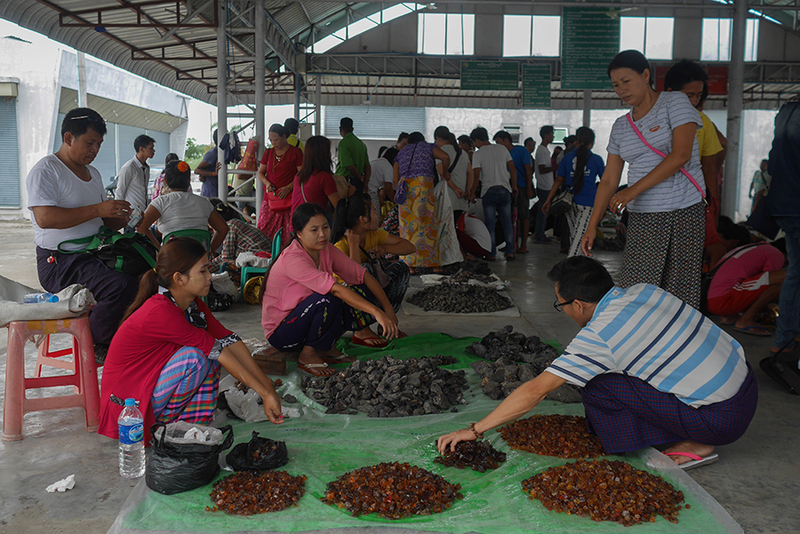 Since the mines closed, she has gone to Myitkyina to observe how deals are made between buyers and sellers at the center. 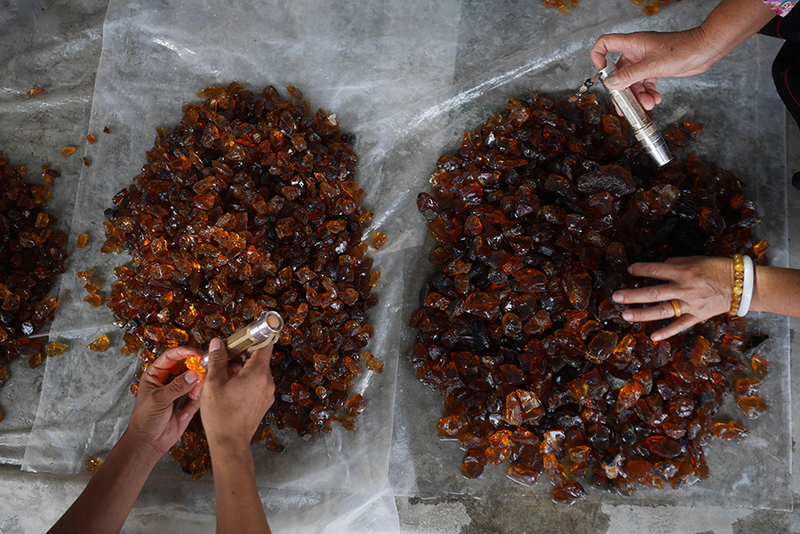 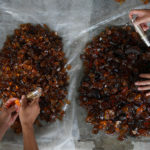 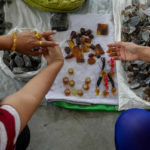 “Trading in amber is a quick and easy way to make money, unlike jade,” said Daw Moe Khine, explaining that amber is the less expensive of the two stones. 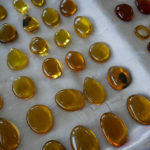 “Amber has become very popular. 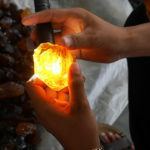 Many people believe that it is good for their health if they wear it,” she added. 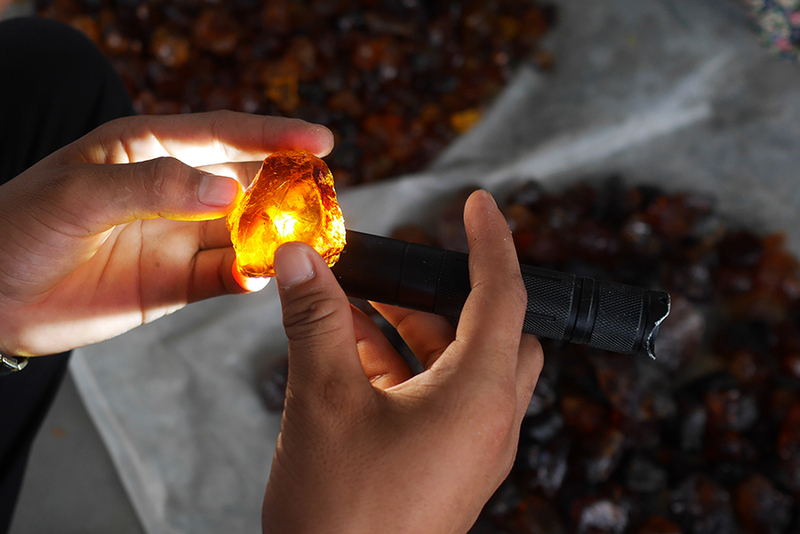 The discovery of a dinosaur tail embedded in a piece of amber by a Chinese paleontologist, which made headlines across the globe late last year, shined a light on the popularity of Myanmar amber, which is considered some of the highest quality in the world. 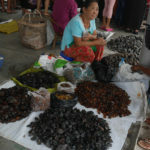 Traders and sellers at the market said that it was not unusual to find animal parts embedded in the raw Burmite, showing photos of amber with spider legs and other appendages inside, which traded for high prices. 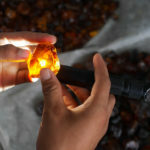 They said, however, that it is nearly impossible for ordinary traders to know if the feathers or animal parts inside the amber are fossils or not. 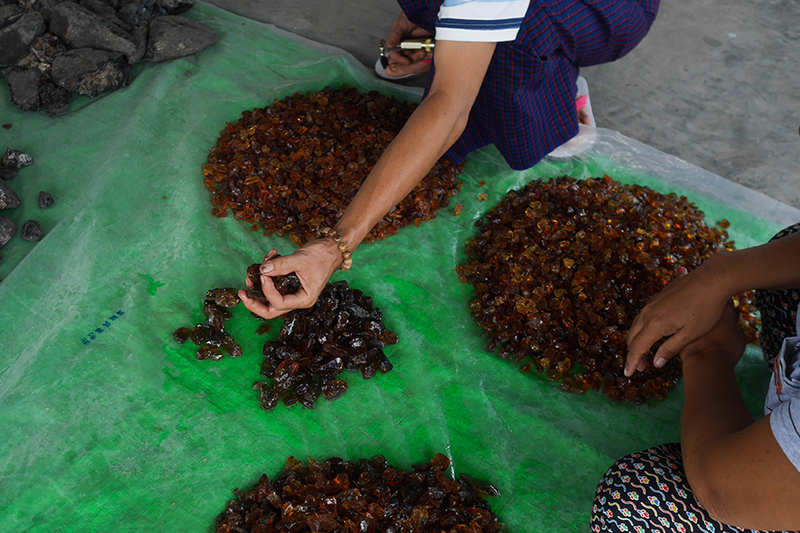 For 24-year-old Ko Zaw Aung, trading in amber is not as risky as jade. 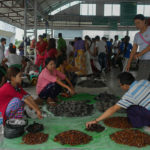 The market in Myitkyina usually finishes around noon but a different building in the same compound continues to sell and trade polished amber rings, bracelets and necklaces throughout the day.